I was in Athens, Greece last week to speak at a TEDx event attended by some of the country’s most promising Internet startups, more specifically to share tips about what founders can do to increase their chances of getting press coverage for their babies. One of my tips was to avoid pitching journalists at events, because it is never an ideal setting for doing demos or delivering elevator pitch-style rundowns of product features, and more often results in annoyance for the reporter in question than an article. Avoid coming up to journalists to start pitching out of the blue, I advised, because it’s much better to simply use the opportunity to build a relationship first and to do the proper pitching later, when the journalist in question sits behind his or her desk and is thus more receptive. Evidently, two minutes after getting off stage I was approached by a duo of young Greek startup founders who proceeded to – you guessed it – pitch their product to me, iPad in hand for a demo. Then again, I guess it worked out for them. I have to admit the product sounded interesting and I asked for the team to get back in touch with me over email, which they did over the weekend. It was good timing, too, because the startup – Radiojar – has just launched its product – an online service that allows anyone to create and manage a professional Internet radio station from scratch, and from their browser – in open beta. Radiojar says it essentially aims to replace the typically challenging and expensive setup of hardware, software and operations needed to run a high-quality online radio station with a Web-based software suite. 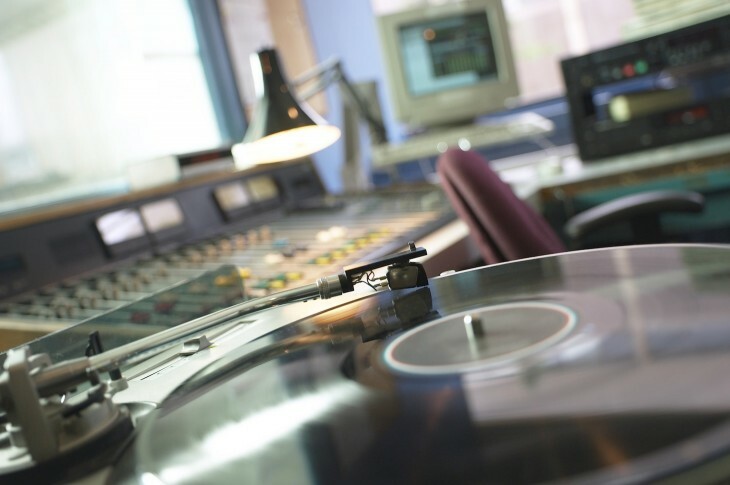 The service, which has been running in private beta since September 2012, helps audio broadcasters set up their Web studios, deploy radio automation tools and coordinate the scheduling of DJs and shows. Radiojar was initially self-funded with 120,000 euros ($154,000) but secured another 330,000 euros ($423,000) in funding back in March, from the PJ Tech Catalyst Fund. If you’d like to give their solution a whirl, here’s a treat for you: The Next Web readers can use a voucher – code: ‘TNW2013’ – to get a 50 euro discount when starting a new radio station (valid until 31 July). For your information, pricing starts at 39 euros per month for up to 5 DJs, 5 GB of storage and 250 GB of bandwidth, but scale all the way up to hundreds of euros per month for custom plans. For alternative or similar services, check out Radionomy, Spreaker, SHOUTcast and ubroadcast.